I do well getting seeds to germinate, but when it's time to repot, transplant, encourage them to grow from "toddler" to teen to adult, I lose a lot of these plants. Wondering if there is any basic trick to getting plants through this intermediate stage between seedling and adult plant? It's not the hardening off I don't get, it's just getting them to continue to develop after transplanting to bigger pots! Thank you! Here is some tips that work for me! Start seeds in seed starting cell trays. Depending on the type of seeds 1 to 3 seeds per cell. Use a seeding starting soilless mix. It needs to be light so the seeds can germinate and grow lots of roots to help in repotting. Don't move the seeds up to pots to soon! Let them develop lots of leaves and roots. Patience. When I move from starter cells to a new pot I only go to a 3 inch pot. Use the same soilless mix and continue to care for them. 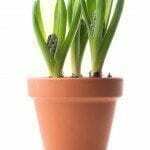 Keep them in this size pot until it also is quite large and full of roots, now you are ready to go to the garden or approx 6 inch pot size and regular good quality potting soil! 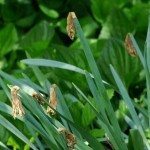 Search our site for growing information for specific seeds and plants.